Old Dominion is proud to promote pet adoption right in our hospital! 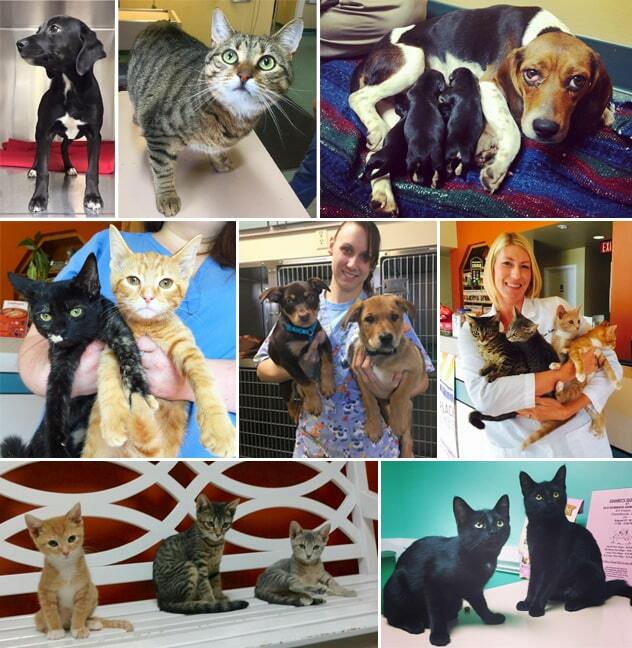 We often have pets at our Charlottesville animal hospital that are up for adoption. Some are animals whose previous owners could not keep them, some were simply abandoned on our doorstep, and others are from area rescue groups. We help these animals gain exposure to potential adopters, which reduces the burden on local shelters and pet adoption centers. Many of the pet adoptions that we are part of begin with existing clients. We are well placed to help those looking for specific types of pets find the perfect match for their needs. Our staff takes care of these animals every day and can tell you a lot about them and their personalities. This information is vital for families looking to adopt a pet into a home with other animals and family members. Please call us at 434-971-3500 if you are interested in pet adoption services. We are delighted to help you add a new member to your family!